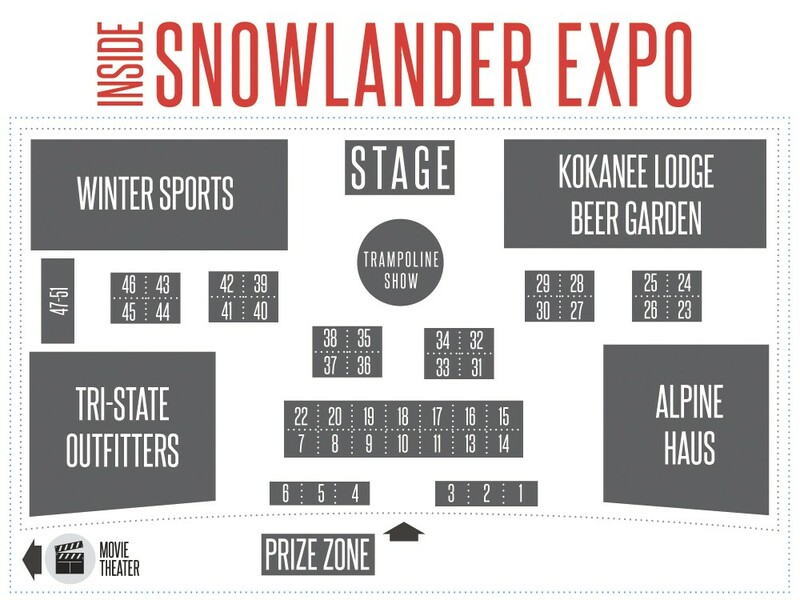 We at The Inlander are psyched to be putting on the region’s biggest snow show with the inaugural Snowlander Expo on Nov. 9-10 at the Spokane Convention Center. There will be discounts from the area’s top retailers, prizes, reps from all the mountains, a beer garden, movies, an extreme trampoline show, season pass photos, factory reps and much more. Tickets are $7 at the door, or get coupons saving you $2 at one of the 20 area Conoco/76 gas stations, Alpine Haus, Wintersport, Tri-State Outfitters, REI and SportsCreel. Kids under 12 are free. Three of the Inland Northwest’s own local ski and snowboard shops — Tri-State Outfitters, Alpine Haus and Wintersport — will set up mini stores on the expo floor, stocked with loads of winter sports gear including boards and skis at specially discounted prices just for the expo. But in the chilly Inland Northwest, you’ll also want to stock up on coats, pants, gloves, hats and anything else designed to keep you nice and toasty as you fly down the hill on your new skis or snowboard. You won’t find deals like this for this year’s new gear until post-season sales. And who wants to wait until then? Teton Gravity Research is one of the premier producers of ski films, and as part of a double feature on Nov. 10, the expo will be showing Jeremy Jones’ Further at 7:30 pm followed by Alaska: The Dream Factory at 9 pm. Further is the second installment of the Jones snowboard trilogy Deeper, Further, Higher. In this chapter, Jones continues his search for the most remote mountain terrains, camping deep in foreign backcountry and discovering un-ridden summits. Ending the night is TGR’s Alaska: The Dream Factory. Always a frontier — for gold-panners, trappers, artists and tortured souls — Alaska is the stuff of dreams for free-ride adrenaline junkies. Watch as the TGR crew ventures through the awe-inspiring expanses of Alaska during a record snowfall year. Tickets are $10 in advance at TicketsWest.com and $12 at the door. Bob Howard’s Extreme Trampoline Show is pretty much guaranteed to be a hit. Think of the kinds of high altitude jumps, spins, flips and other tricks the adrenaline junkie athletes of the Winter X Games do, but instead of on the half pipe or a big air jump, picture those moves done on a trampoline with flexible, modified skis and snowboards. The show’s creator and host, Bob Howard, is a former three-time, consecutive world champ in freestyle skiing. Howard says freestyle skiing has evolved over the past several decades, from jumps and twists on more of a straight, vertical plane to today’s style, which young riders are innovating with sideways, looping moves or “off-axis” tricks. Audiences will get a chance to catch the 12-minute show — showing the evolution of freestyle — at multiple times on both days. See it Friday at 6, 7, 8 pm and on Saturday at 11 am and 1:30, 4, and 6 pm. Make sure to hit up the booths for many of the region’s ski resorts, where reps will be ready to answer all your pressing questions on the upcoming season. From a little closer to home will be Mount Spokane and 49 Degrees North, as well as North Idaho’s Lookout Pass, Silver Mountain, Schweitzer and Tamarack resorts. Heading down from north of the border, there will also be B.C.’s Red Mountain, Whitewater and Big White resorts. The local reps will be there to hook you up with a season pass, take your pass photo and help you plan an epic and memorable trip, like details on seasonal events, lodging, stay-and-play deals and more.